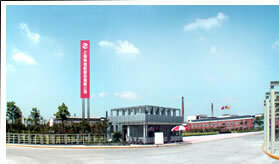 Shanghai Diesel Engine Co., Ltd. (SDEC) is the leading manufacturer of diesel engines in China. Our strict emphasis on quality is combined with the latest technology to offer our customers a competitive edge. Since its inception, the company has established a reputation for itself as a supplier of quality products. We focus on quality and aim to achieve total customer satisfaction, both in the products we offer and in the service that follows. This company was founded on the principle that we would provide the best quality of diesel engine . Satisfied customers throughout the world attest to the accomplishment of that goal. Shanghai Diesel Engine Co., Ltd looks to the future with a commitment to design innovation and quality products, supported by an outstanding level of customer service. Our reputation was built around unsurpassed product quality, prompt deliveries, immediate parts availability, dependable service, and outstanding customer satisfaction. Today, SDEC is a State-owned hi-tech enterprise with business scope covering diesel engine, fuel-burning system, diesel generator set and investment. Our products have 7 series namely G128/135,C(121),D(114),E,R,H,W. We also have more than 300 kinds of products and the power ranges 50 to 1600HP. These products are widely used in heavy-duty vehicle, passenger car, engineering machinery, ships, mobile power station etc. In 1994, SDEC was the first company that received ISO9001 certification in China. SDEC has passed QS9000 and TS16949 certification conducted by TUV Rheinland. In 2002 and 2005, SDEC won the golden award on quality and 6CT natural gas engine, launched by SDEC, was evaluated as the best engine by the World Passenger Car Association. In 2006, SDEC was given the award of the "Best engine manufacturer" by the World Passenger Car Association. SDEC is the technical leader of the Internal-combustion Engine Industry in China. We also represent an extensive product line-up to compliment our diesel engine and others. Our highest priority is on customizing our products. We are committed to provide what our customer wants and we provide quality and consistency at the best value. Our objectives and goals have been to attain the highest technical performance at the most competitive prices. Our products didn't have any failure in practical application due to high quality. Our commitment to excellence also extends to our leading after-sales service and support programs. This spirit of cooperation is evident in every facet of our operations. It is the quality policy of Shanghai Diesel Engine Co., Ltd to provide the highest quality products, maintain strict conformance with the requirements and specifications of our customers and to provide continuous ongoing improvement in quality, delivery and customer satisfaction. Feel free to contact us at any time, welcome to Shanghai Diesel Engine Co., Ltd. (SDEC).